Homeowners sometimes face an uphill struggle to get paid out by insurers after a burglary, an article in The Daily Mail alleges. 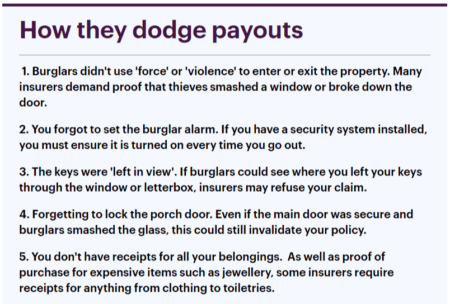 From not locking outer patio doors as well as more secure main front doors, to leaving keys indoors where they can be seen from a window and “fished” by thieves, are reasons insurers have used to deny claims by burglary victims. The Daily Mail claims that the “petty excuses” that have been used by insurers to avoid paying out are “sickening”. 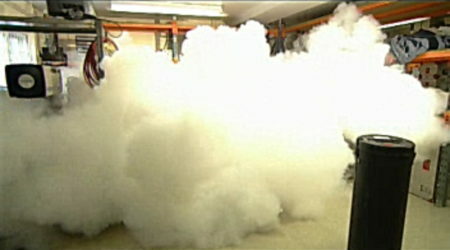 Reasons The Daily Mail claims insurers use to avoid paying out. Read the full Daily Mail article and tell us what you think. 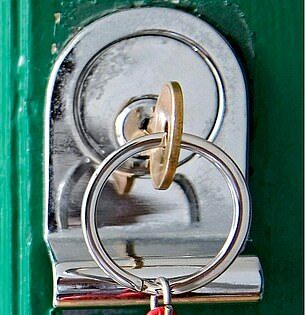 Are they right or are these just common sense precautions that all people should take to minimise the risk of a break in?